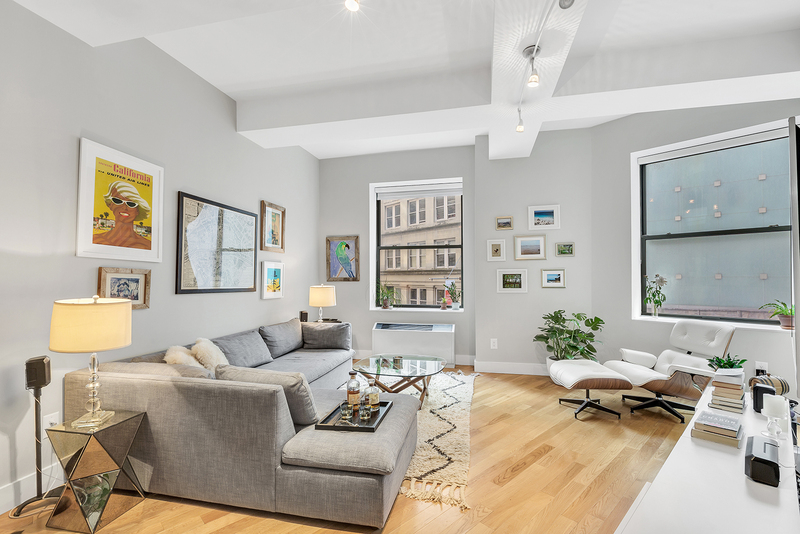 This oversized, one-bedroom offers the perfect blend of city living and Manhattan's luxurious lifestyle. 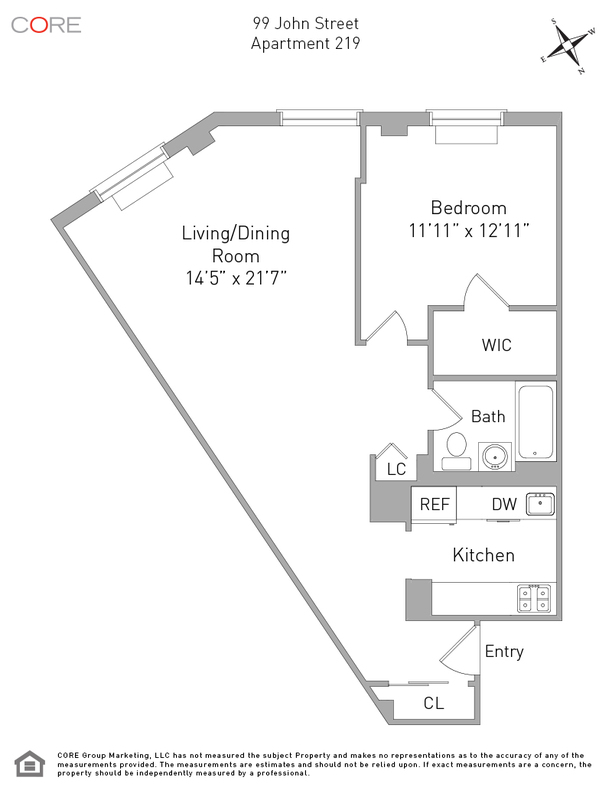 With 784 square feet across a unique fan-like layout, this apartment features a welcoming foyer, separate dining area, and king sized bedroom with walk-in closet. The galley kitchen is adorned with Electrolux stainless steel appliances, white lacquer cabinets and Caesarstone countertops - perfectly tucked away and has great storage space. The bathroom, a comfortable size, is finished with marble. With lofted 11-foot ceilings throughout and ample closets, all outfitted with rods and shelving, this spacious apartment is a great place to call home.